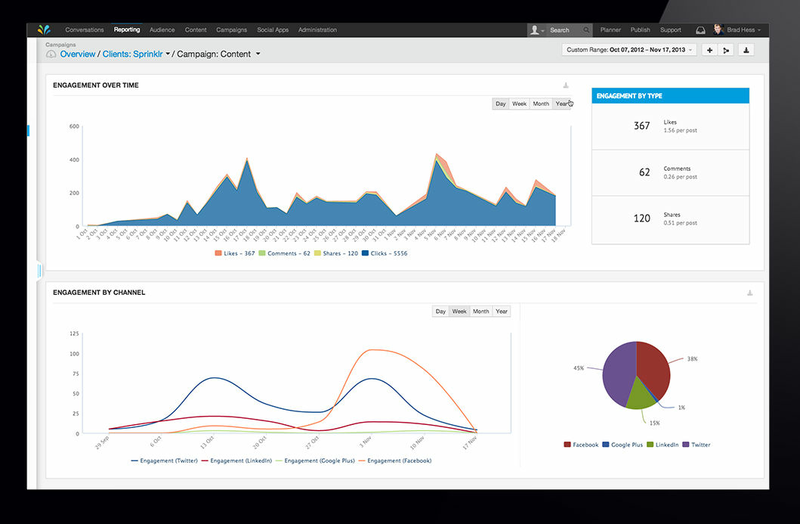 Sprinklr is the best-suited software for big enterprises with social media management needs on a large scale. It enables large enterprises to provide a pleasant social media experience for their clients. 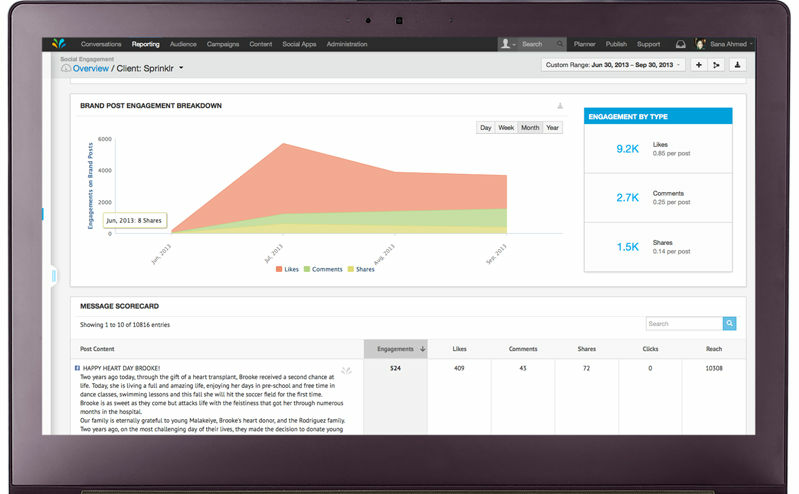 With features like social media content management and audience management, it allows you to create and post engaging content for the targeted audience. 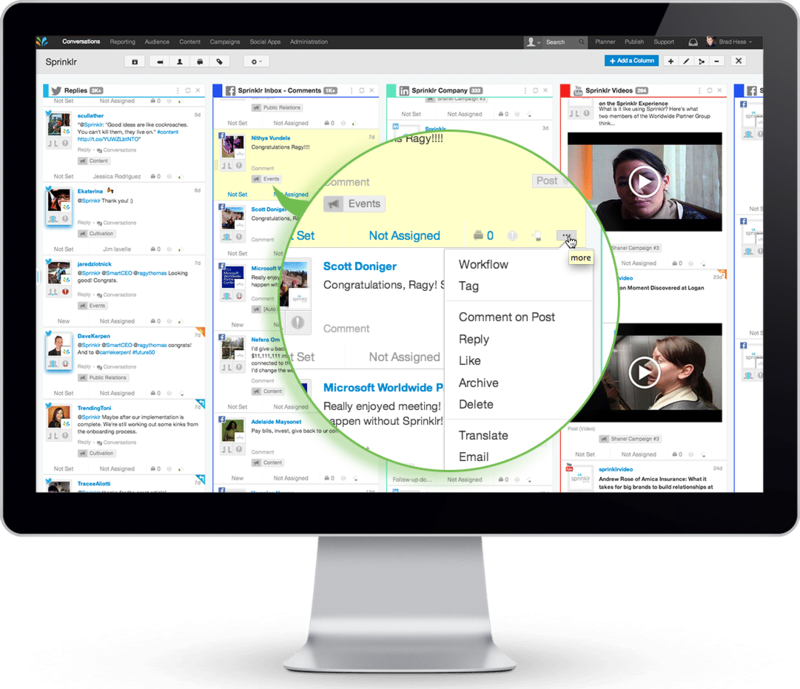 Its multi-user collaboration feature helps various users in a team to work together on a project. 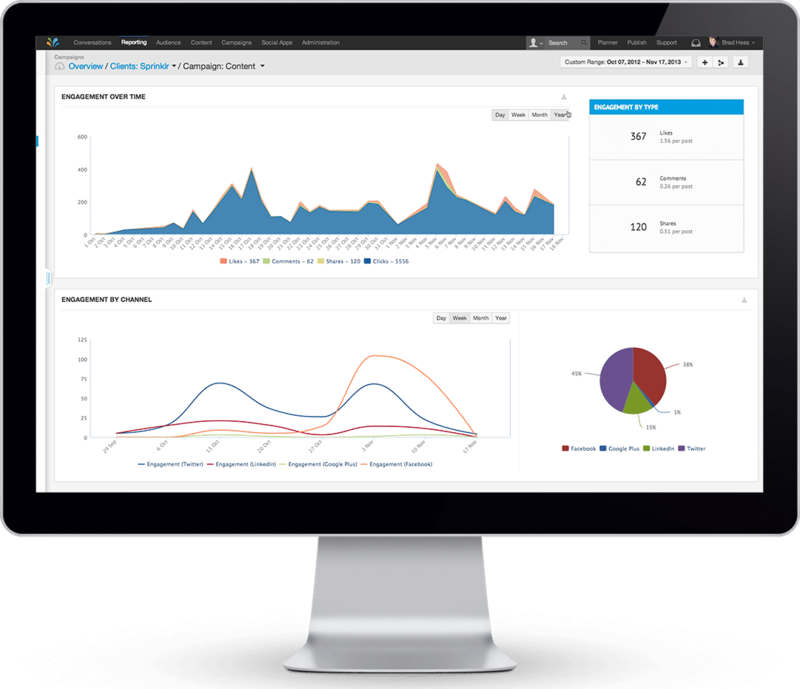 Other features include social media monitoring tools, advanced social media analytics, posts scheduling, customer engagement, etc. How much does Sprinklr cost ? 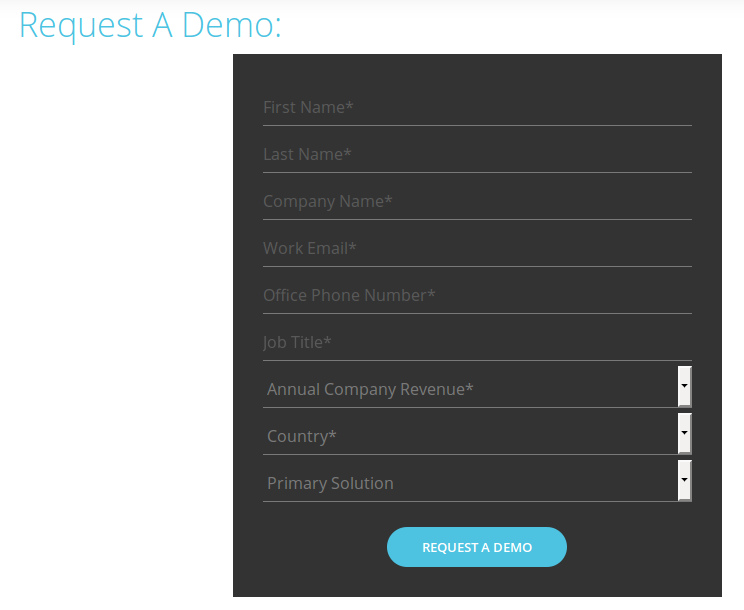 Sprinklr provides a custom pricing for their software. 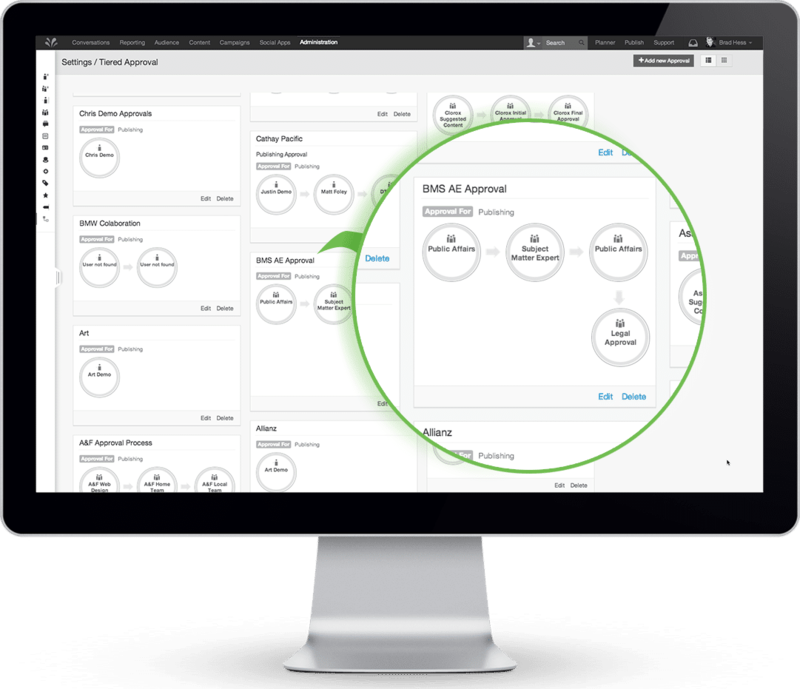 Sprinklr pricing plans are not publicly available. Contact Sprinklr for detailed and latest pricing. 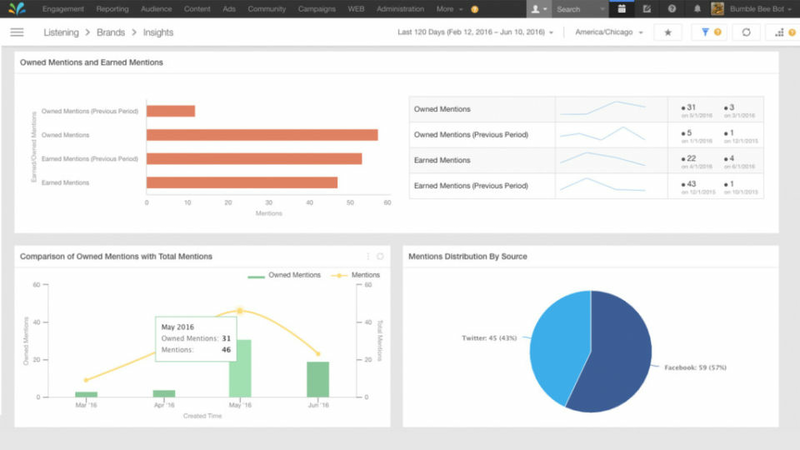 Pros: Features are robust, you can schedule content as well as manage to advertise directly through Sprinklr itself without having to manage content within each platform. 1 stop shop for all your social and advertising needs. Cons: Expensive requires a lot of implementation time, need to have a representative fly out to train your team. Pros: This tool is easy to use. New members of our team are easily onboarded on to the software and can work autonomously. Cons: The customer service team is not very good. Should you run into a technical error, it will take a long time to fix. Overall: Great software. We use for many clients. If CS approved, it'd be great. Pros: Sprinklr has continued to innovate as the social media industry has changed, which is something we have found really valuable. The software changes to meet the needs of our clients. Cons: You have to be working with a certain amounts of accounts/clients to really make the investment worth it, as an agency. Not easy to find solutions to issues. Not enough tools that are customizable. Cannot tell if more than one person is working in channel. 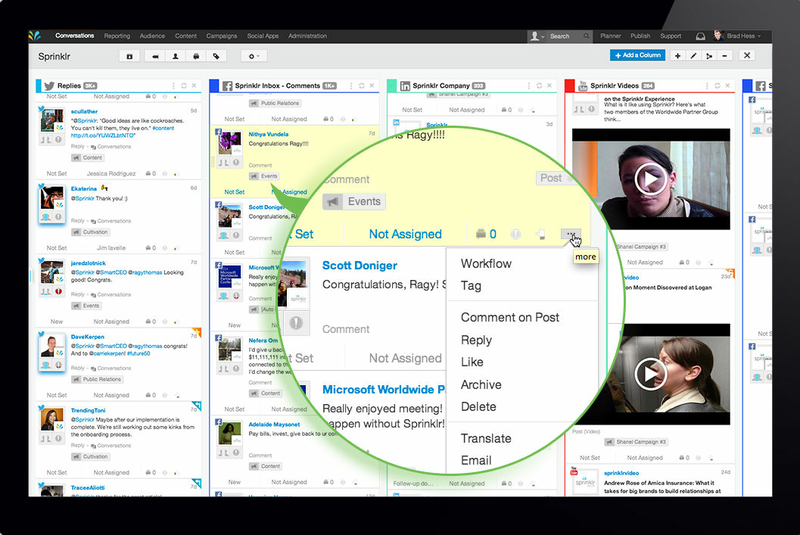 Every social engagement software has it perks and flaws. This by far has been the best one compared to most in the market. A diferencia de algunos de sus competidores, Sprinklr requiere administración central para grupos de usuarios más grandes para garantizar que cada usuario esté familiarizado con la idiosincrasia del entorno personalizado. En otras palabras, debido a que el sistema está diseñado para casos de uso específicos, la mayor parte de la resolución de problemas recae en la persona que entiende cómo se utiliza la funcionalidad. 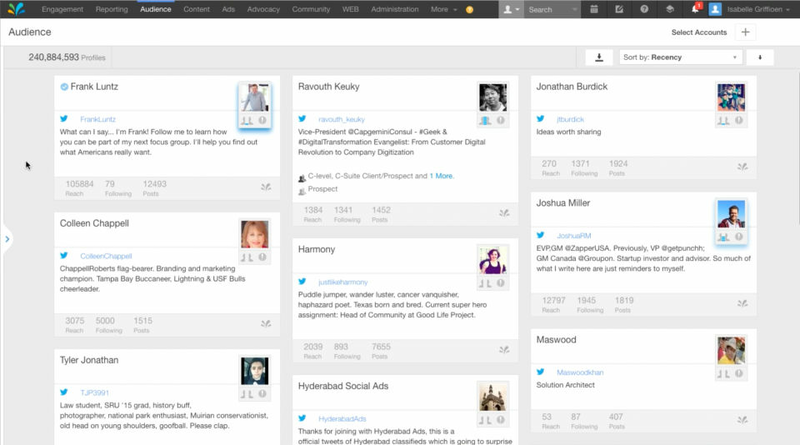 Pros: Sprinklr houses a lot of features. 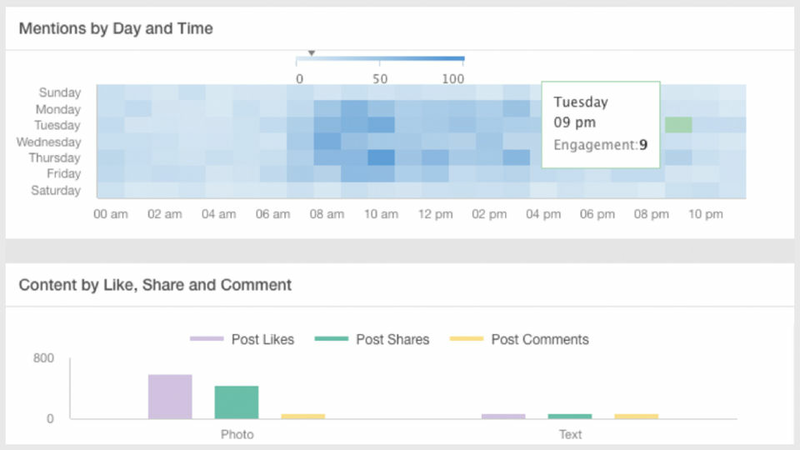 Engineers respond to new products offered on platforms like Facebook very quickly by replicating that on Sprinklr. Cons: Reporting dashboards are always broken. Unreliable numbers forces media planners to use the actual ads platform instead of the Sprinklr tool we pay for. 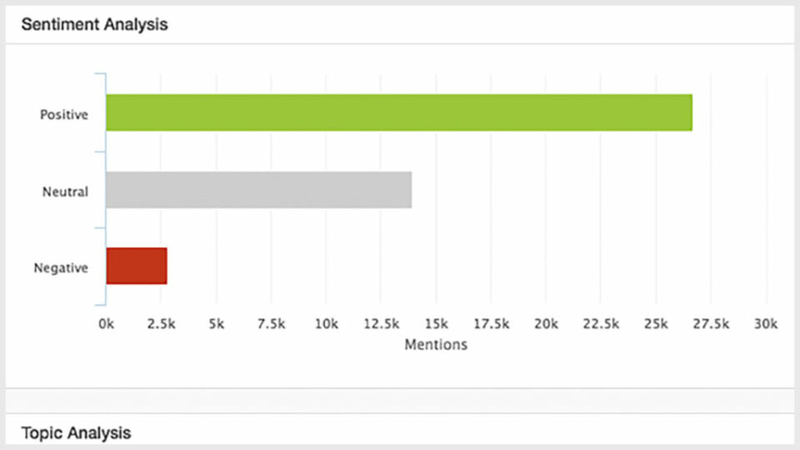 "Fantastic Social Media Content Management Platform"
"Most content with content mgt!" What content is most effective for customers? Where should we deploy more and allocate more assets. 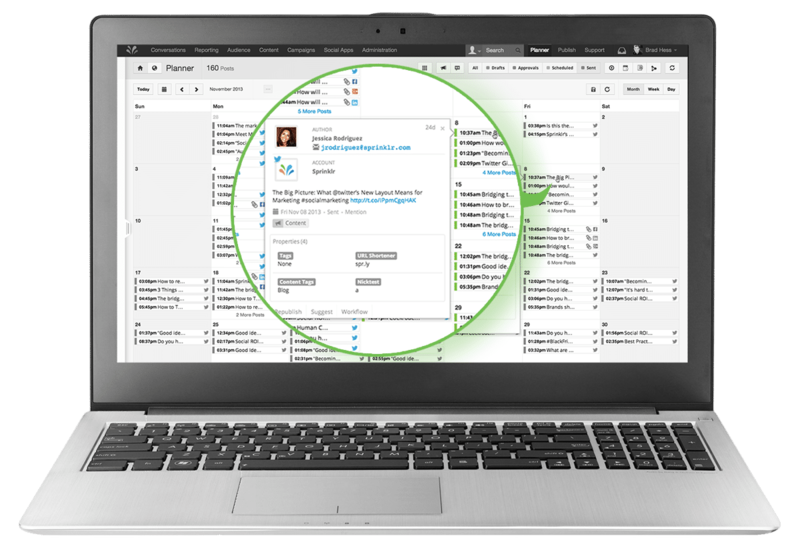 "Sprinklr Core for Enterprise-wide use"
An incredibly comprehensive social media solution for publishing, engagement, monitoring, content planning, analytics and cross-user collaboration. Content sharing and bridging communications silos in higher education proved to be the biggest problems solved. Collaboration across users, departments and schools proved to be the biggest benefit, as the system architecture fostered conversations about content strategy and creating key performance indicators prior to embarking upon measurement and analytics reporting.